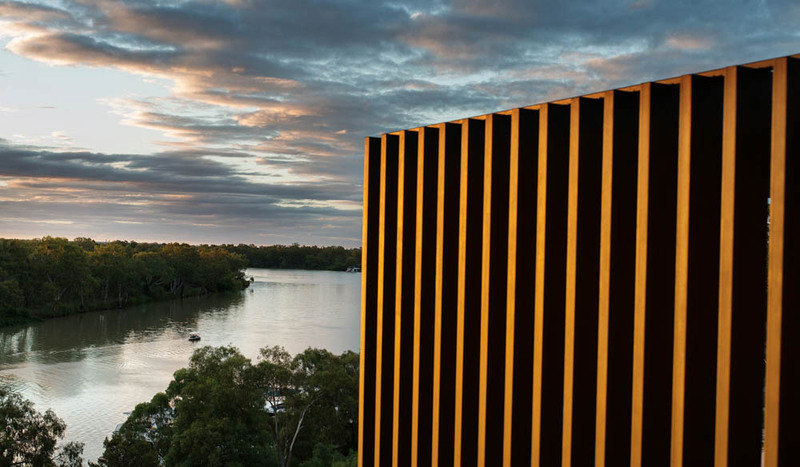 Perched on cliffs above the river, just out of Renmark, the architectural retreat serves up spectacular views. Another Murray River-must? The Frames. 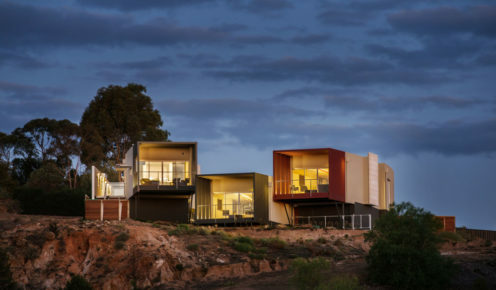 Perched high on cliffs above the river, just out of Renmark, the architectural retreat serves up special views (the sunsets…), high-tech amenities (remote-control beds, sunken spa and infrared sauna) and personalised itineraries. The three villas are billed as luxury self-contained, but owners Rick and Cathy Edmonds also tempt guests with a guided sunset cruise along the river in their restored gondola, complete with a local wine and cheese plate. 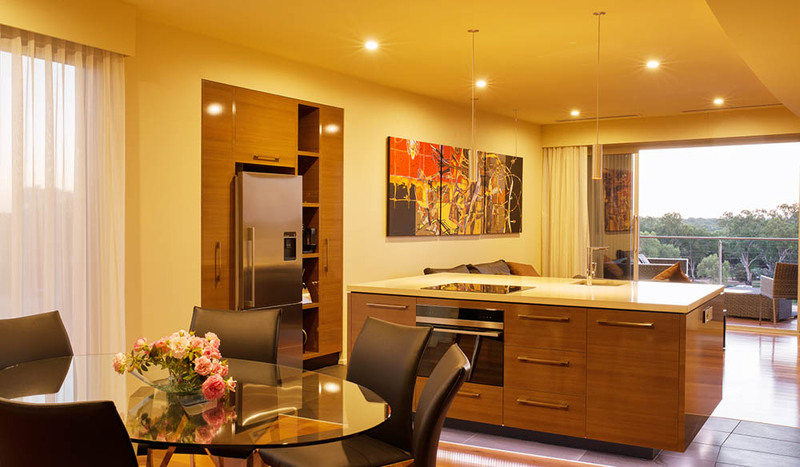 They can drop you in town for dinner, or better yet, organise a private chef to prepare dinner for you. The following day, a speedboat picks you up to explore the surrounding waterways and their wildlife. 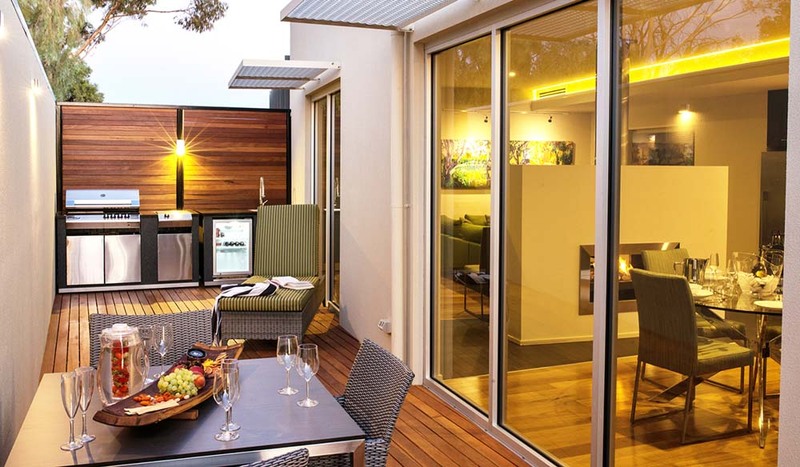 It’s extras like these that won The Frames a number of top gongs this year, including Best Self-Contained Accommodation at the Qantas Australian Tourism Awards. Its location in South Australia’s Riverland is another boon. As the country’s largest wine grape producer and one of its biggest food bowls, with oranges, almonds and avocados, the region is a haven for foodies. Along the main road, manicured grape vines set against beautiful arid earth stretch back as far as the eye can see. It’s a corker of a view. 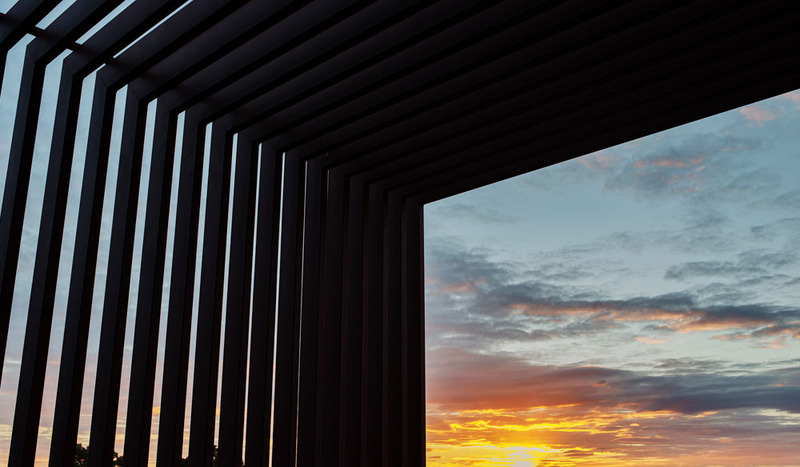 There are few cellar doors to speak of, but 919 Winery, which specialises in obscure varietals such as durif, petit manseng and touriga, turns out drops so good you’d make the journey just to sample them alone. The bigger Banrock Station is worth a visit for its wetlands restoration project, while craft beer and artisan liquor is also on the rise here. Check out the waterside Woolshed Brewery and chic Twenty Third Street Distillery in town and grab yourself a bottle of gin. 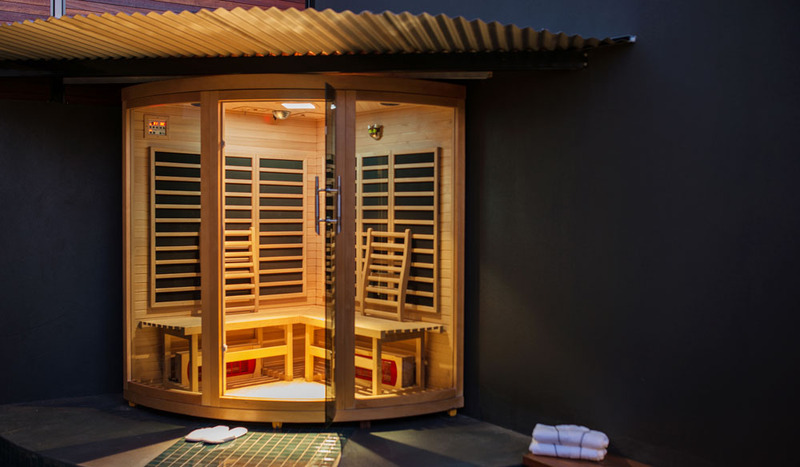 Cost: From $720 per couple, per night.